All cuts include shampoo, hot towel & style. Free hairline clean-ups for regular customers. Keep that face nice and tidy. Make it a perfect fit. A series of hot towels and facial products that cleanse, exfoliate, tighten, and moisturize. Day of wedding services can include showing up and making sure your guys look sharp, bow ties, shoe shinning etc..
Justin is a men's hair specialist and has been for 17yrs. He is excellent with all degrees of fades, tapers, classic cuts, creative cuts, razor cuts & kids cuts. Justin cuts hair to create the perfect balance between weight and length to ensure your hair grows out well. He has been educated by Vidal Sassoon, American Crew & other various educators. 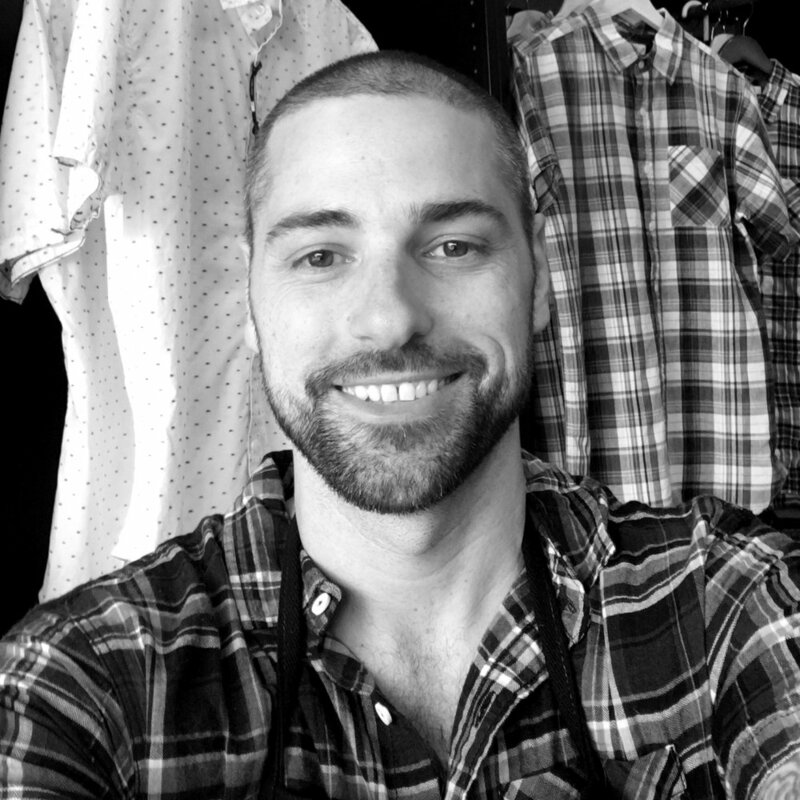 Most importantly, Justin is passionate about his craft and works on giving his clients the best experience possible. If you are looking for an Allstar stylist look no further! 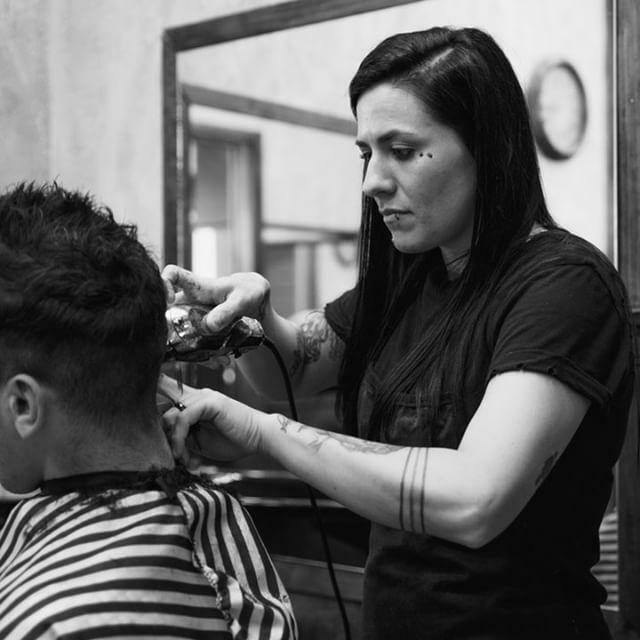 Jackie has been cutting hair for 12 years and has been specializing in men’s hair for half of that. Capable of doing any style you throw at her. Jackie’s abilities at cutting hair at far greater then the price you will pay. Timely, trendy, knowledgeable and keen eye for detail make her a great find. Jackie plays hockey as a goalie and has one of the best attitudes I’ve ever been around! She’s a keeper. Dalon has been cutting hair for 18years and is a master at his craft. He specializes in short hair. Maticulous to no end and border line OCD when it comes to making sure every hair on your head knows it’s place. Dalon finds great joy in helping fellas who are follicly challenged find styles that make the most out of what they have. In Dalons words “There’s always something you can do, until there’s not”. A genuinely great guy, Dalon enjoys talking about fishing, ( he’s a pro bass fisherman) and making moves in fantasy football. Regardless of your topics of conversation you will leave feeling and looking great! Copyright © 2018 FELLAS Haberdashery and Salon. All Rights Reserved.